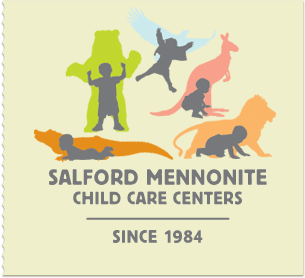 Salford Mennonite Child Care Centers » Parenting Resources From ZERO TO THREE » Imagine. Play. Learn. Since 1984. What exciting activities do you have planned for 2014? Get inspired by checking out ZERO TO THREE’s resource titled A Year of Play, with playtime, reading, and language activities for each month of the year. Young children learn through play—when they are engaged, challenged, and having fun, they are learning! Do you know a young child who has been impacted by divorce or separation? ZERO TO THREE has developed a one-page resource to help parents, grandparents, and caregivers understand the impact of divorce on young children and learn how they can support young children’s healthy development during this period of transition. To view and print a longer booklet on divorce and separation from ZERO TO THREE (with an associated $4.99 download fee), visit this direct link to our bookstore. Birth to 12 Months: Make a snow sensory bottle for your baby. Fill a small water bottle halfway with water. Add glitter (as much as you’d like) and food coloring (if you wish). Then fill the bottle the rest of the way with clear corn syrup or baby oil. Finally, hot glue or Superglue the bottle top shut (don’t forget this step!). Show your baby how to tip the bottle back and forth to watch the “snow” move through the bottle. Toys like this give your baby a chance to practice grasping and finger/hand control. It also introduces the concept of cause and effect (“If I move the bottle, the glitter will move too!”). 12-24 Months: Make a snowy obstacle course. Line up cushions of different heights and sizes (pillows, couch cushions, and more) along the floor. Cover the whole area with a flat white sheet. Encourage your baby or toddler to crawl or climb over this “snowy” landscape. Games like this give your child a chance to use upper and lower body strength, and develop coordination and motor planning skills as well. 24-36 Months: Have an indoor snowball fight. Fold up 10 pairs of socks into balls (or use white pompoms). Guide your child to sort the balls into two piles (5 in each pile). When she is done, point to each ball and count aloud, modeling how to count to 5. Toss the balls at each other or try to toss them into a box or laundry basket. Run around and gather up the balls as fast as you can and start again! This kind of game gets your toddler moving during the cold winter months and also provides a chance to practice early math skills in a fun, age-appropriate way.